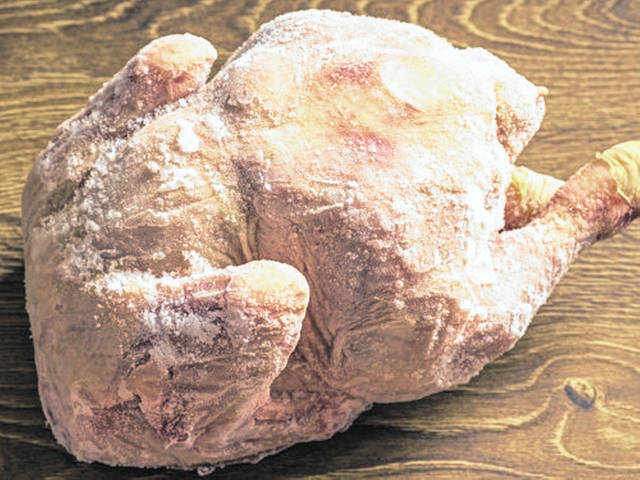 There are three safe ways to thaw a frozen turkey: in the refrigerator, in a container of cold water or in a microwave. While the refrigerator takes the longest, this method also is considered the best. Question: I bought two turkeys last November, with the intent to cook one at Thanksgiving and the second one for New Year’s Day. We ended up going to a friend’s house on New Year’s instead, so now I still have the frozen turkey from last year in my freezer. Is it safe to cook it for our Thanksgiving meal this year? Yes, you can still safely cook that turkey as long as it has been stored in the freezer unopened and uninterrupted and stored at or below 0 degrees Fahrenheit, according to the U.S. Department of Agriculture Food Safety and Inspection Service.